World Champion Megan Romano will join hosts Joe Auer and Chris Emig on the SwimmerJoe Show on Sunday, April 14 at 6:00 pm EST. The live event can be streamed on both the Swimming World and International Swimming Hall of Fame Facebook pages. Replays will also be available on Spotify and Amazon’s Alexa. Romano is a four-time World Champion, twice in the long course format in 2013 and twice in 2012 with short course meters. Her four golds came courtesy of the 400 and 800 freestyle relays and 400 medley relay. She also earned an individual silver in 2012’s meet in Istanbul. As a Bulldog at the University of Georgia, Romano won the 200 freestyle at the 2012 NCAA Swimming & Diving Championships. The swim broke the American, U.S. Open and NCAA Records at the time. She also earned runner-up honors in the 100 freestyle and 100 backstroke in 2012, as well as a National Title in the 800 free relay. 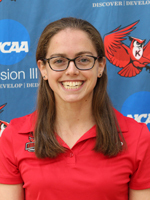 Romano’s Georgia school records in the 100 (47.01) and 200 freestyles still stand (1:41.21) while her 100 backstroke mark (51.37) was bested by Olivia Smoliga (51.00) in 2014. Since graduating from Georgia, Romano has stayed close to the pool in moving to South Florida for training, helping design TYR’s Avictor and more. Georgia Athletics contributed to this report.